This collection of 14 original essays by young Taiwan scholars offers a range of fresh and innovative perspectives on South Asia–hence its title, New Perspectives on South Asia. The essays are divided into three sections according to their three principal areas of focus: domestic politics and history; foreign relations; and social and economic development. These essays arrive at an opportune moment in the modern history of the subcontinent. The landslide election of Narendra Modi in May 2014 as India’s 15th Prime Minister represented an overwhelming mandate for India to pursue novel policy paths as well as the potential for India to show the way in South Asia in moving in new and dynamic directions. As the longest serving Chief Minister of Gujarat, Modi earned a reputation for nurturing a business climate fostering high rates of economic growth. The Indian electorate clearly hopes Modi can reproduce his success throughout India and initiate the kinds of reform that generated unprecedented economic growth in the 1990s. The massive single-party Parliamentary majority Modi’s Bharatiya Janata Party (BJP) achieved in the election also holds the promise that he will find full support for implementing his policies. Regionally, Modi’s election also signaled a potentially new direction in India’s relations with its neighbors when for the ﬁrst time in history at a swearing-in ceremony for an Indian Prime Minister, Modi invited all of the national leaders of SAARC (the South Asian Association for Regional Cooperation), notably including Pakistani Prime Minister Nawaz Sharif. Internationally, Modi got off to an equally dynamic start, visiting Bhutan for his ﬁrst trip abroad, and then attending in Brazil on July 14-16 the 6th BRICS summit with the leaders of Brazil, Russia, China and South Africa. In his first days in office Modi received visits from the Chinese, French, and Singaporean Foreign Ministers, the British Foreign Secretary and Chancellor of the Exchequer, and the Deputy Chairman of the Russian Government. The U. S. Deputy Secretary of State visited July 10-11 to deliver to Modi a formal invitation from President Obama to visit Washington in September. He was followed by visits from the U. S. Secretary of State, the U. S. Commerce Secretary, and the U. S. Secretary of Defense. Meanwhile, Prime Minister Modi was also planning in September visits to Japan and to Washington, and to welcome Chinese President Xi Jiuping to India. Taiwan also has strong reasons to be hopeful about the election of Prime Minister Modi. Unlike most of India’s leaders, Modi is no stranger to Taiwan. He first visited Taiwan in November 1999 when he was general secretary of the BJP, and reportedly has since made unofﬁcial visits as well. The Prime Minister also hosted in India the biggest- ever trade delegation from Taiwan in 2011. Modi’s personal familiarity with Taiwan will undoubtedly, as in the case of all those who get to know Taiwan, contribute to an already burgeoning relationship. Bilateral trade, for example, jumped from US$ 1.278 billion in 2000 to US$ 6.174 billion in 2013, and in 2011 reached an all-time high of US$ 7.569 billion. Total bilateral trade could reach around US$ 10 billion in the next few years. Taiwan is clearly interested in expanding its relationship with India. Taiwan’s Ministry of Foreign Affairs in December 2011 publicly identified India as one of the key countries with which Taiwan should actively develop relations. There is a natural afﬁnity between these two Asian democracies, despite their disparities in size. Both are technological powerhouses, especially as leaders in complementary ﬁelds of information technology, and both have highly educated elites. Both are heavily dependent on trade with mainland China, are interested in diversifying their markets, and share similar concerns about China’s longer-term strategic intentions. Keenly interested in developing experts in Chinese language and culture, India has also increasingly turned to Taiwan. Taiwan universities are an attractive alternative for Indian students, especially at the graduate level. National Tsing Hua University, for example, has more than130 Indian students on campus. With support from the Taiwan Ministry of Education, Taiwan has also opened four Mandarin-language learning centers in India. It is therefore no surprise that the two recently established research institutes which have collaborated on the production of this book–the Center for Strategic Studies on South Asia and the Middle East at National Chung Hsing University, and the Center for Asia Policy at National Tsing Hua University–are strongly interested in India and South Asia. The essays in this collection reﬂect that focus and the desire to examine the region from new perspectives. Fang Tien-Sze’s essay on “The Evolution and an Evaluation of Indian Democracy” tackles a broad issue: how best to understand and assess the functioning of the world’s largest democracy with all of the concomitant problems of its size and still ongoing development. Such an evaluation should also take into account Chen Mu-Min’s cogent analysis of “The Roles and Influences of Communist Parties and Naxalite Groups in Indian Democracy.” Professor Chen examines India’s legal Communist parties and the illegal Maoist Naxalite guerrilla groups and explains how and why these political anomalies in the contemporary world continue to exist. He also assesses, in the case of the Naxalites, Indian government efforts to eliminate them. In “British Colonial Rule and the Indian Muslim Problem,” Yu Ya-Wen focuses on one of the key political obstacles to national development that India continues to face: the problem of a huge Muslim minority in a majority Hindu society and the uneasy relationship between these groups. Tracing the problem to its historical roots in British colonialism, Yu also examines the political marginalization of Indian Muslims, their socio-economic situation, and the continuing political competition and religious rivalry between Indian Muslims and Hindus. Pakistan, which was founded to give Indian Muslims their own state, faces no such religious divide but also continues to face governance challenges, as Chen Wei-Hua ﬁnds in his examination of Pakistan as a case study of “Islamic Democracy in South Asia.” Chen focuses on the approaches Pakistan needs to take to become a full-ﬂedged Islamic democracy. Chang En-Tzu and Ravindra De Silva study “The Problem of Land Governance in the Northern Province of Sri Lanka” where a large number of private lands have remained under military control since the end of the 26-year-long civil war (1983-2009). Based on interviews with government ofﬁcials, and research in media and NGO archival materials, the authors analyze the means the military employs to illegally occupy private lands and its efforts to block the return of these lands to private owners. Lee Szu-Hsien paper on “India’s Aspiration for ‘Great Power Status,’ in the Post- Cold War Era” examines India’s strategic self-image following the demise of its Cold War ally, the Soviet Union. Lee traces the emergence of a new self-confidence and an ambition to play a more important regional and global role befitting a country that would be a suitable candidate as a permanent member of the UN Security Council if that international forum is ever reformed. Lee also, however, examines the obstacles India faces in fulﬁlling that vision. A key factor in India’s role in Asia is its historically complex relationship with China which seemingly began with brotherly goodwill in 1950 and was then upset by the “betrayal” of China’s launch of a border war in 1962. In “The Strategic Implications of India’s ‘Look East Policy’ for India-Myanmar Relations,” Chang Chi-Shin examines the geo-strategic motives for India’s looking eastward, especially with regard to China. From this perspective, Myanmar is seen as a land-based strategic asset. In “Picturing China-India Relations: An Analysis of India’s Print Media Contents,” Chung Yu-Chen examines India’s most widely circulated newspapers to see if China is really perceived as a threat in Indian public opinion. Chung ﬁnds that there are different views about China on different issues depending on their immediate importance to India, but that most news sources reflect a neutral attitude toward China and China-Indian relations. In “The War on Terrorism under the Shadow of Great Powers,” Huang Li-Wen studies how the United States, China, and India have developed varying modes of cooperation with Pakistan in its battle against terrorism, and evaluates the effectiveness of the differing anti-terrorism strategies. In contrast to India, Nepal possesses huge hydropower potential, but as Cheng Hsin-Wei explains in “Nepal-India Cooperation for Hydropower Development: Progress and Challenges,” Nepal has been unable to fully exploit this abundant resource due to inadequate financial and technical capacity. Electricity shortages have thus become a prolonged crisis for Nepal affecting its overall development. India has been an important partner in Nepal’s hydropower development since the 1950s, but nonetheless little progress in cooperation has been made since the 1980s. Cheng finds that Nepalese political instability, institutional failures in Nepal’s management of its hydropower resources, the unbalanced power relationship between India and Nepal, and their bilateral disputes over water, all constitute major impediments to hydropower cooperation which must be overcome. Tseng Yu-Hwei draws on surveys she conducted in Bangladesh among both public and micro-financed hospitals to answer the question she poses in “Poverty Reduction and Health in Bangladesh: Is Microcredit a Good Idea?” Tseng’s results show that micro-financed hospitals serve fewer poor patients and charge higher fees than public hospitals. Because micro-credit itself is a commercial product, excluding the poorest is an inevitable outcome, with profound implications not only for Bangladesh but for other developing countries where micro-ﬁnancing is being practiced.. Looking broadly at India’s trade relations with its smaller neighbors, Huang Wei-Lun in “India’s Trade Relations with South Asia Countries,” examines whether India is effectively a trade “hegemon” in South Asia given its overwhelmingly larger population, domestic market size, and huge GDP. Interestingly, Huang finds that except for the land-locked neighbors Bhutan and Nepal, most South Asian states tend to trade more with countries in other regions. 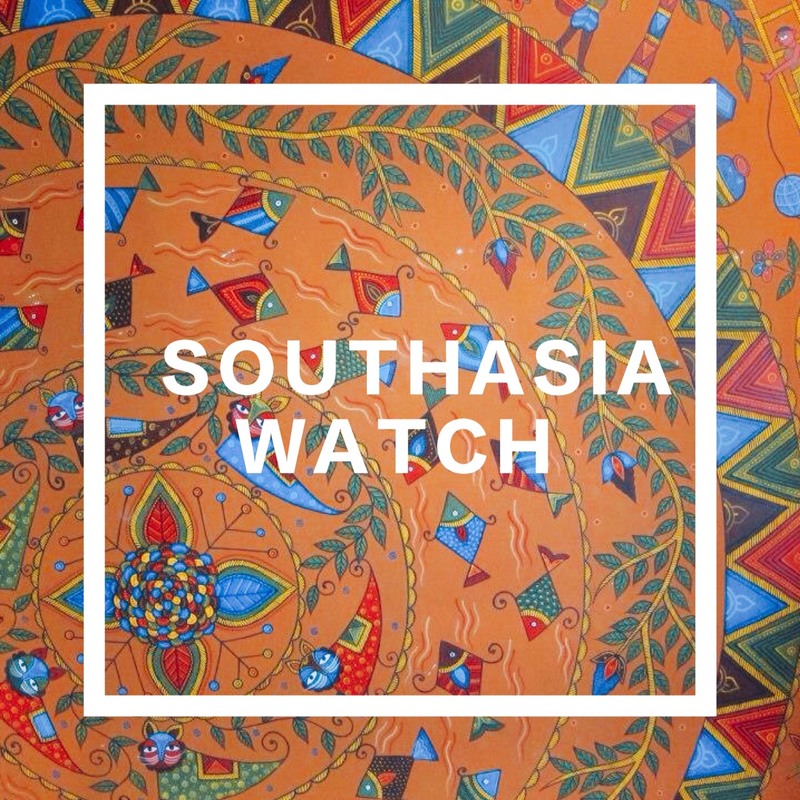 The lack of trust among South Asian countries and India’s inability to coerce them have led to stalemates in the South Asian Association for Regional Cooperation (SAARC), which is another reason India looks for trade opportunities beyond SAARC. Tung Yu-Li studies another legacy of British colonialism in India–the use of the English languagein “A Study of Children’s English Education in India.” In the complex context of Indian multilingualism, English has a special, irreplaceable status in Indian society as a matter of policy, alongside Hindi and, often as a third alternative, a more local dialect. Nonetheless, Tung’s classroom observations show that the actual practice of how English is taught affects the policy. In a “Study on the Water Security Crisis and Water Resource Policies in India,” Yan Chi-Hua analyzes the key problems of excess pumping of ground water, water pollution, and inadequate capacities for managing floods and droughts, and evaluates Indian government policies for addressing the water crisis. Taken together, these new perspectives on South Asia by young Taiwan scholars, represent the birth in Taiwan of a new academic interest in the region. 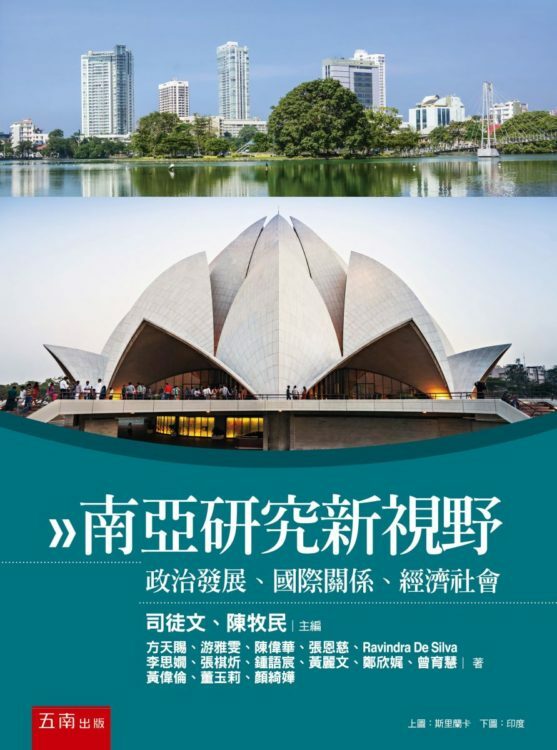 We hope that readers will share that interest and their interest will have a multiplying effect on the development of regional studies of South Asia in Taiwan. India, the world’s largest democracy, is also projected to be the world’s most populated country by 2050. As India, a great and ancient civilization as well as an increasingly modern society, takes its rightful place on the world stage, Taiwan needs to have developed the expertise it needs to understand this emerging great power and its neighbors.